Dr. XU Jijun is the division chief of Changjiang River Scientific Research Institute. He received a Ph.D. degree in hydrology and water resources from Tsinghua University in 2007. He is the member of Global Water Partnership China, the member of Water Resources Committee of Chinese Hydraulic Engineering Society, the executive director of Water Resources System Engineering Branch of Systems Engineering Society of China, and also the deputy director of Hubei Provincial Key Laboratory of Water Resources and Eco-Environmental Science. 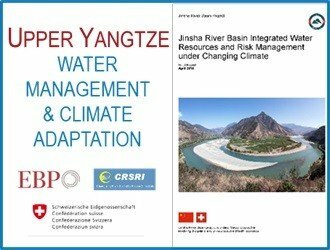 Dr. XU’s research focuses on hydrological model and its application, drought and flood analysis, water resources management policy analysis. Dr. XU is hosting or investigating several national key research projects, such as the National Natural Science Foundation of China, the Key Program of National Natural Science Foundation of China, Sino-Swiss Cooperation Project, International Science and Technology Cooperation Program of China, Special Program in Public Welfare of the Ministry of Water Resources and so on.